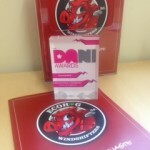 Ecohog are very proud to have been in attendance at the DANI Awards 2015, Northern Irelands Premier Digital Industry Awards, celebrating excellence within the digital sector. Ecohog were shortlisted as finalists for the Online Export Strategy Award in the Manufacturing and Engineering Category and on the night achieved a Commended Standard. Well done to all involved in the organising of the Awards ceremony which took place in St Columbs Hall, Derry and congratulations to everyone who received awards on the night.